Is the Museveni regime cultivating disorder and flouting regulations in order to gain political support? 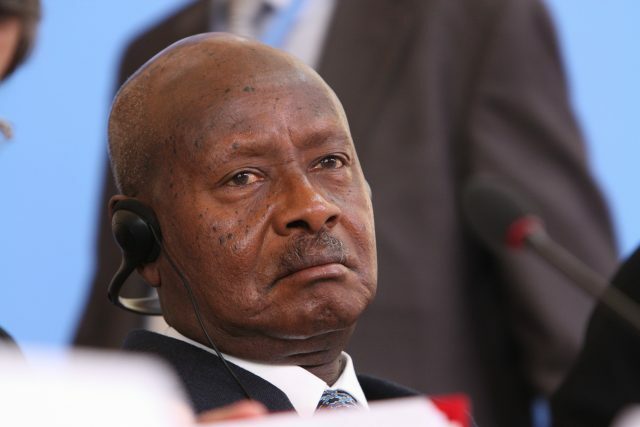 In this article, Ivan Ashaba argues that the boat disaster that killed more than 32 people inLake Victoria is a result of Museveni’s politics of disorder. A luxury boat sailing in Lake Victoria capsized – killing at least 32 people on 24 November 2018. Such accidents are common in Lake Victoria, but for Uganda, the death toll is one of the country’s highest ever in maritime accidents. The doomed boat, named the MV Templar after its owner, had two princes of the Buganda Kingdom among its passengers. In a statement after the accident, the police and other government officials suggested that boat operators, acting on the princes’ orders had defied marine police at the point of departure, disregarded concerns over the condition of the boat, which is said to have been ‘patched up’ hours before the fateful trip. Boat accidents are no strange thing on the waters of Lake Victoria. In September 2018, a ferry disaster on the Tanzanian side of the lake killed over 200 people. But, perhaps no accident better underscores the dysfunction that cuts through a political system such as Uganda’s. Even if the princes and the boat’s operators were partly to blame for the boat accident, they were enabled by a decayed and incompetent administration that Museveni’s long-time presidency is nurturing. Museveni’s regime, due to its unwillingness to lose any political capital, overlooks and fails to implement its own regulations – whether it is boda-bodas (passenger motorcycles), taxis, building codes, fire safety in schools. For starters, the ill-fated boat was not registered, unlicensed and most likely uninsured. In fact, according to a marine officer at the Ministry of Transport and Works, there were plans to impound the boat because of alleged non-compliance issues. Like many other ministries and departments, Uganda’s marine transport sector is under-funded and under-staffed, the case with the judiciary, police, prisons, education, health and other key sectors. This is how the government works – by cultivating disorder in order to maintain the capital that props up the regime. In other words, disorder perpetuates Museveni’s political control. Transport regulation remains a pipe-dream in Uganda, the regime does not want it. The main reason is that strict regulation and implementation of the regulations will not augur well for the transport operators. Museveni would rather have them unregulated because he does not want to lose their support. He confirmed this strategy at an economic conference in neighboring Kenya, which took place soon after the boat accident. Speaking of why the government was not going to evict people that had settled in a wetland, he said: “you know we need votes…” In the case of maritime safety, Museveni is now calling for the electronic registration and monitoring of all boats in the lake. Few believe this will happen. The Kagame regime in Rwanda operates differently. There, the government demands a high level of obedience – order is the modus operandi – the means for the regime to maintain its grip on power. The motorcycle taxi business in Rwanda is regulated, with strict adherence to safety and rider tracking. In Uganda, there is a free-for-all atmosphere that suits the regime’s interests, but which also has the effect of endangering many lives. In Kampala, Uganda’s capital, many residents – market-men, vendors, butchers, motorcycle and taxi operators thrive on the informalisation of the city. The issue of informalised economies is well articulated in a recent article that pays attention to increasing engagement between president Museveni and specific sections of the informal workers – market vendors and motorcycle taxi (boda–boda) riders. Because the regime is afraid of the impact of certain policies, pertinent issues like urban planning are sacrificed in order to preserve power. Many elected positions in Kampala have long been held by the opposition, from the mayor to local councilors. Under such circumstances, the regime is wary of ceding more ground. This explains why Museveni recently turned against his erstwhile ally, the executive director of the Kampala Capital City Authority, accusing her of using high-handed tactics that cost the regime support in the election of 2016. As a result, street vendors are slowly reappearing on the streets of Kampala. In a bid to shore up his support in Kampala, Museveni recently donated huge sums of cash to youth groups and associations. In Kamwokya, a suburb where the pop star now turned opposition politician Bobi Wine grew up, Museveni donated about $28,000 to local groups. In the 2021 presidential election, the battle for the urban youth vote will play a key role in tilting Uganda’s political landscape. Museveni, in power since 1986, depends on military force as well as on patronage and clientelistic networks to preserve his power and monopoly of violence. In his party, the National Resistance Movement, he is seen as the ‘milk-producing cow that shouldn’t be slaughtered yet’. Although it remains to be seen if he will run again in 2021, the removal in December 2017 of age restrictions on the presidency leaves Museveni with more than one option. Whereas in Zimbabwe the military finally let go of long-time leader Robert Mugabe, there is no indication that Museveni has such a problem. By all accounts, he is secure. Days following Mugabe’s ouster, Museveni rushed to decorate more than 300 army officers, and there has been talk of retiring some of the old guard, including top army generals, as young Turks take the helm. From the policing angle, since the dismissal and subsequent trial of former police chief, Kale Kayihura, the president has given more power to his intelligence agencies and in doing so reinforced his own authority, at least for the foreseeable future. Ivan Ashaba is a teaching assistant and Ph.D candidate at the Institute of Development Policy, University of Antwerp. Next articleTaking Africa’s Democratic Temperature – Hot or Cold?